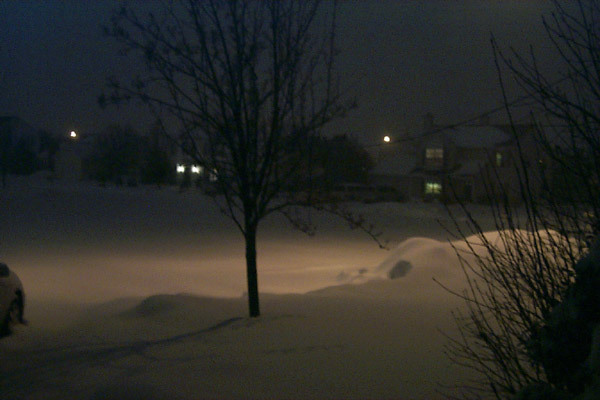 We had a bit of snow Sunday and Monday. 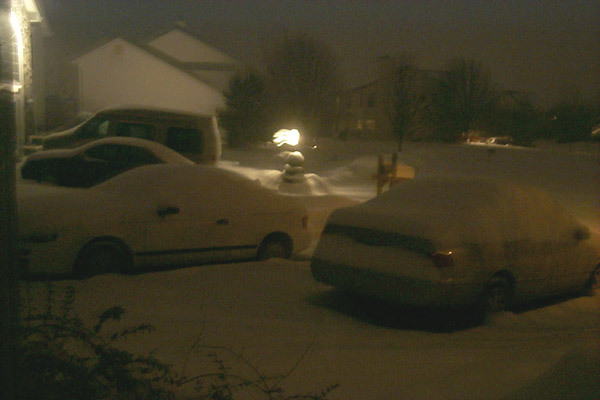 The snow started to cover our cars early in the evening. 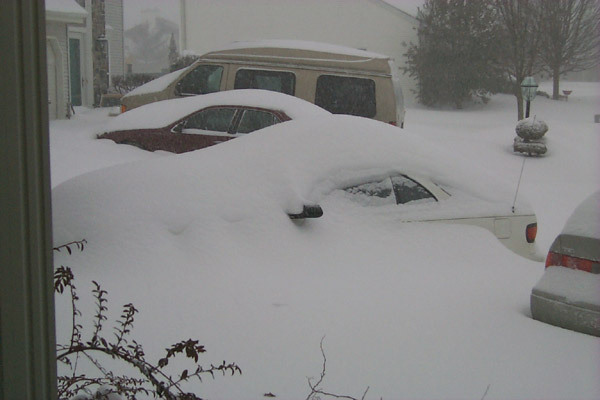 By 9 am Monday morning, the cars were well and truly stuck. 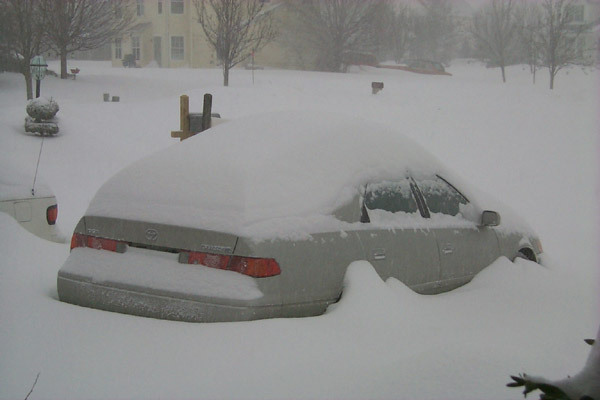 Laura's car, or a bump in the snow? 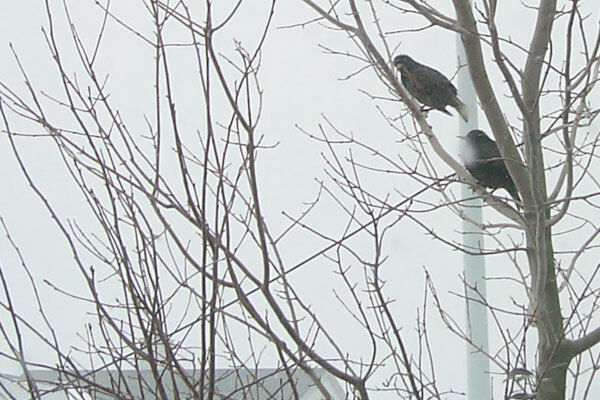 Birds seeking refuge from the wind and snow.